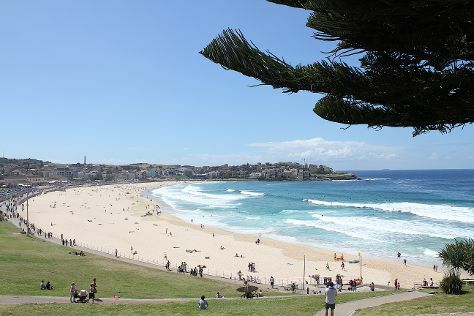 Start off your visit on the 6th (Mon): admire the masterpieces at Art Gallery of New South Wales, stroll through The Opera House to the Botanic Gardens Walk, then kick back and relax at Bondi Beach, and finally get to know the fascinating history of The Rocks. On the 7th (Tue), you'll have a packed day of sightseeing: get a new perspective on things with Boat Tours & Water Sports, look for all kinds of wild species at Tambourine Bay Reserve and Warraroon Reserve Walk, then examine the collection at Australian National Maritime Museum, and finally explore the world behind art at Australian Centre for Photography. If you are flying in from United States, the closest major airport is Sydney Kingsford Smith International Airport. Expect a daytime high around 70°F in May, and nighttime lows around 54°F. Cap off your sightseeing on the 7th (Tue) early enough to travel back home.